Early retirement planning. You’d think the closer we get to our FIRE date, the simpler things would become. I mean really – I’m leaving my job in just a few months so as I continue to train my replacement, my workload should start to diminish over time. Plus, we’re downsizing to an apartment soon (if we could ever sell our house!). What else could there be, Jim? 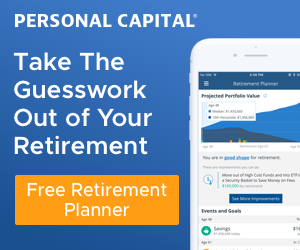 How much early retirement planning do you really need? Didn’t you already get these plans laid out months or years ago? Maybe I’m doing something wrong, but I feel like I have a lot more on my plate that I need to squeeze in somewhere between steps 1 and 3! 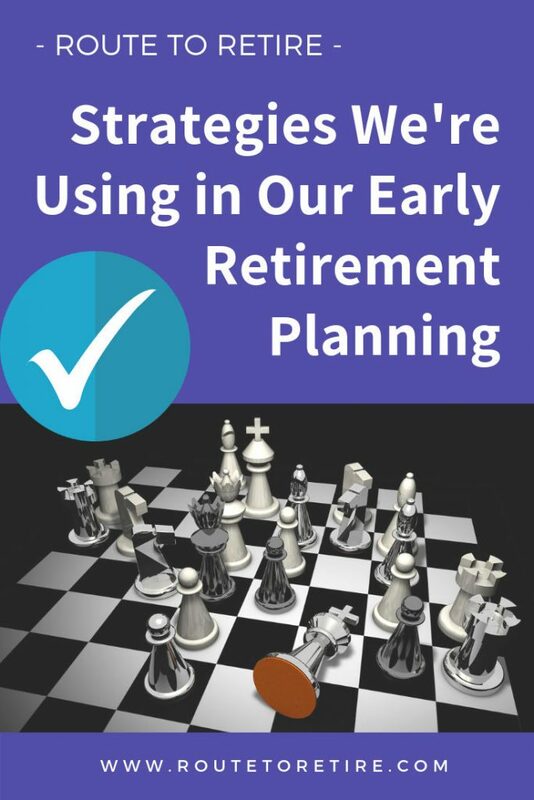 So I thought I’d share some of the strategies we’re using in our early retirement planning that are hot on my mind right now. 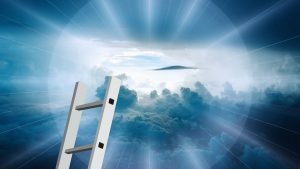 The Roth IRA Conversion Ladder… as the heavens open up and the choir of angels sings! This is one of the biggest pieces of our early retirement planning and something I’ve talked about previously. If you’re new to our situation, here’s the scoop. The majority of our wealth is currently in my 401(k) plan – just over $700,000. We also have a little over $100,000 in a traditional IRA that we rolled over from my wife’s old 401(k). With tax-deferred retirement accounts like the 401(k) and traditional IRA’s, the idea is that you put your money in with pre-tax dollars. Then you can let it grow tax-free and pay taxes on it when you withdraw the money. However, although there are a few exceptions, the government really wants to discourage you from pulling your money out of these accounts until you’re 59½ years old. That presents a small problem for early retirees who, with some solid planning beforehand, need to access that money along the way. Enter the Roth IRA Conversion Ladder. In a nutshell, the IRS allows you to convert money from a traditional IRA to a Roth IRA and withdraw it penalty-free after five years. That one small detail presents the foundation for the Roth IRA Conversion Ladder. Move your money over in chunks from your IRA to your Roth IRA and let it bake for five years. The reason you don’t move the whole thing at once is that you’ll be taxed on the money you convert. The more you move, the more you’ll pay in taxes and the higher the possibility of hitting another tax bracket. The plan most folks have (and my original plan) is to move one year’s worth of living expenses the first year. Then do the same the second year except adjust it for inflation. And then continue down that path until the traditional IRA is completely drained and converted. Once five years have passed, the IRS now looks at your conversion as a contribution. And, if you’re familiar with another important IRS rule, contributions can be withdrawn from your Roth IRA at any point in time without penalty. In other words, these two rules allow you to create a ladder to start pulling out your money penalty-free every year starting after that five-year bake period. The tough part of this is that you need to have enough money to live off of for the first five years. That can be a real struggle, but if you can pull it off, you’re golden. This will happen at the end of 2018. There’s a reason for choosing that time of year – I want to start with a clean slate and keep my tax bracket extremely low for 2019. Any income we get from our side businesses will likely go right into a Solo 401(k) to help make this possible. Mrs. R2R might also be working a part-time job at that time. If so, we’ll make sure that money goes right into a 401(k) or Health Savings Account (HSA) as well to keep her taxable income next to nothing. 2) Live off our cash-on-hand for the first five years. This part’s fairly straightforward. We’ll use the money from our savings accounts, taxable investment accounts, and Roth IRA’s. Remember when I mentioned that you can pull out contributions to a Roth IRA penalty-free at any time? Yeah, well, we’ll be doing that with our current Roth IRA’s. Between those accounts and the money we’ll be banking from selling our current house, we should be able to get through that five years. It’s probably going to be a little tight, but nothing too crazy… maybe skip a vacation for the year, but hell, we’ll be living in Panama starting next summer so I think we’ll survive. 3) Start our Roth IRA conversions. 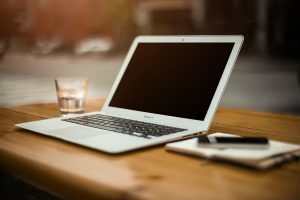 Initially, I planned to move only one-year’s worth of expenses over at a time every year. However, after talking with my financial advisor, we decided to pull over as much as we possibly can each year without hitting the next tax bracket. The idea is to get all the money moved over sooner than later while we’re in a lower tax bracket, in case of law changes, etc. So we based our early retirement planning specifically with that premise in mind. This changes things because, the more we convert, the more we have to pay in taxes at that time. In my head, I figured that we would do this every January, but this is why I hire people smarter than me. Instead of doing it at the beginning of the year, we’ll wait until the end of the year. Every December, we’ll basically do a mock-up of our tax return to see where we stand. Then we’ll move over the largest amount we can without hitting the next tax bracket. Smart, right? This guy knows what he’s doing! 4) Pull from our Roth accounts as needed. Once our “bake-in” period of five years is done, we’re now good to start pulling those dollars from our Roth IRAs as needed. Let’s make one thing clear – just because we have the money available, doesn’t mean we have to spend all of it. Yes, our early retirement planning bears in mind our yearly expenses and we should be good regardless. However, if we spend less because we just didn’t need it or if it’s intentional because we’re being flexible, that’s Ok. We don’t need to spend every penny we have – we’re fine with letting that money continue to grow in our Roth IRAs. That’s it – four basic steps involved with our retirement dollars. In the meantime, we do have some rental income coming in and a little bit of money coming in from this site. I also anticipate that as I spend more time growing this site (which I’m excited to do! ), the cash flow will continue to grow. On top of that, I wouldn’t be surprised if some other income finds its way into our pockets from other fun projects along the way. For instance, I’m looking forward to writing a few more books at some point down the line (I’ve written a couple technical books previously). Although the money won’t be the driving factor, it’ll be a little bit of icing on the cake. Ugh. Thinking about healthcare in the U.S. makes me just shake my head. That said, we’re planning to keep it a little simple for our early retirement planning. Come January, we’re planning on using a health care sharing ministry until the summer. These seem to be pretty well liked by their members so this makes sense to us. Assuming we’re accepted (we should be), we’re looking specifically at Liberty HealthShare. I’ve talked to a number of people using them and their feedback was positive. There are some things to consider though with health care sharing ministries. For instance, they can reject a claim if they disagree with the cause or any other reason. There are also caps on the payouts, so you need to be careful in case you run into something horrible like cancer. Our goal is just to have something in place until we move out of the country though, so we’re gambling that we don’t run into anything too bad during that seven-month span. The second part of our healthcare plan is for when we move to Panama. At that point, we don’t necessarily even need to have insurance. We’ve talked to a number of folks living there who don’t have any coverage. The cost of healthcare is so cheap there, they just choose not to have anything in place. I don’t like that for us though. It makes me nervous, especially because we’ll to be coming back to the U.S. several times. If we should get into a car accident while here in the States, for instance, that’s a problem. So we’ll be getting expat insurance once we’re ready to move. This will most likely be through Cigna. The coverage is the same as you get here in the States from normal plans, but it’s tremendously cheaper. The reason for the cost savings is the stipulation that you can’t be in your home country (the U.S.) for more than 90 days out of the year. This won’t be a problem for us. 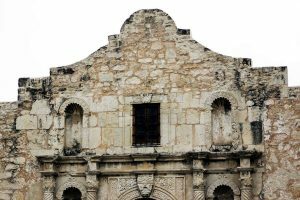 There’s no basement at the Alamo! It’s true that we’re moving to Panama and we’re very excited about our new adventure there! Nonetheless, we’re not renouncing our U.S. citizenship (at least as far as we know right now). We’re planning to have dual citizenship over the long run. For the first year though, we’re not going to apply for residency in Panama. This is due to the cost involved – particularly the attorney fees. The costs could run us a good $7,500 for the three of us. We’re fine with that, but we want to make sure it’s what we really want before we drop that much money. So we’re anticipating that we’ll remain tourists for the first year there. And as a tourist, they have some rules. One of those rules is that you can’t be in the country for more than 180 days before you need to leave for a 30-day period. Additionally, your U.S. driver’s license is only good for 90 days at a time. That means we’re going to be leaving the country a lot more that first year than we probably would any other. And when we come back to the U.S., we’re going to need a place to live. Since we won’t have a house anymore, we’re planning to live with my brother and sister-in-law in Texas. That keeps us with family and also keeps us out of the snow and horrible winters that I dread here in Ohio. But why is this important to this post? Because changing our state residency provides us another fringe benefit as well… there’s no state tax in Texas. So down the line, as we make distributions from our IRA’s for our Roth IRA Conversion Ladder, we won’t be taxed from the state level. That’s a pretty good perk and it could save us some good money. It’s important to know that this isn’t our main reason for moving there. Obviously, Ohio wouldn’t like if we were moving down there just to avoid paying state taxes because they would want their piece of the pie. However, because we’re legitimately moving to Texas to live before we head to Panama and plan to stay there when we come back as well, we’re on the right side of the law. So, we’ll need to make that change at some point before we head to Panama. We’ll move down to Texas going through the proper channels to establish residency, surrender our Ohio driver’s licenses in exchange for Texas licenses, register to vote, etc. It’s another physical move that needs to be made (ugh! ), but like I said, it’s good for us for a number of reasons. The most accurate part of this photo in my life would be the drink glass next to the laptop… let’s get this party started! This one’s still just a thought, but could be something a little more solid in our plans down the line. At some point, it might make sense to move the Route to Retire business to another country. Although I believe in paying our fair share in taxes, it’s also important to be smart with a business. There are many reasons to consider moving a business abroad such as ease of doing business, fewer regulations, and lower operating costs. In our case, a lot of those don’t really apply. For us, the tax incentives would really be the big benefit. We’re just a small fish right now, but as the business continues to grow, this might be something we at least consider. And because the company is not location dependent, this is not a drastic change to make. Like I said, we have a lot rolling around in our minds for our to-do list and a lot of these are date-sensitive. The good news though is the plan seems to be coming together nicely and there’s nothing too tough to implement. I’ve recently talked to my financial advisor again and decided to keep him involved on a yearly basis. He’s a CPA and is fantastic at the tax planning for early retirees and expat living so I’m excited to keep him on. I’ve asked him to plan on doing my taxes for the next couple of years for sure so I can make sure we’re doing this as effectively as possible. We’re getting closer to our next adventure!! What kind of strategies have you considered for your early retirement planning? ← Why Is It So Uncomfortable to Say I’m Retiring Early? We plan on leveraging a Roth conversion ladder similar to what you describe. Also a relocation to a small base of operations near a major airport is in the to do. Then a lot of travel. No expat for retirement though. It’s still possible I might do that before retirement. Sounds like a great plan, FTF! Hey Jim. Welcome to Texas! If you are in the Southeast Texas Gulf area let me know! Sounds like a great plan. Relax just a little bit. Our Roth IRA conversion situation is a bit different. We are on the older side of FIRE so we are planning to avoid having to take forced distributions at 70 1/2. We will start conversions when I retire to keep the tax bracket low. Finding a great accountant who knows all the rules is a MUST! I read up on all the IRS literature and read blogs but the tax code of the United States is way to complex. Evaluating late in the calendar year is the better way as you mention – allows you to evaluate other income streams and project your tax bracket. If your other income streams bust you into a higher bracket then you need to consider Roth conversions that get you up to the higher part of that bracket. Healthcare is the big unknown for us right now. I am extending my working career due to Mrs. r2e’s health diagnosis of cancer. Health sharing plans won’t work for our situation so we need the traditional insurance. This is the one area of our life that is a day to day concern for us. First off, I didn’t realize that Mrs. r2e was diagnosed with cancer – I’m so sorry. I was looking on your site and couldn’t tell how she’s doing – I wish her the best regardless. The U.S. healthcare system really disgusts me. You shouldn’t need to extend your career just to ensure that Mrs. r2e gets taken care… makes me nauseous just thinking about it. Great strategy on the conversions to avoid the forced RMDs later. That should pay off well for you later! You have to plan more because that’s a ton of changes. When I retired, my life didn’t change that much. I stayed in the same home and my wife still worked. Good luck with all the changes. I’m looking forward to reading more about moving the business out of the US. We might do that at some point too. I’m going to talk to a tax guy today about changing our taxation from sole proprietor to S corp. I’m ready to pay less taxes. Looking forward to hearing how the transition goes to S-Corp – that will be a great post when you’re done. I’m curious what’s involved with that. You are doing a great job with all the complex planning. There are a lot of things to consider when retiring AND moving out of the US and it will be fascinating to follow your move to Panama. You are really getting all this detailed planning executed in a highly organized and thoughtful way. The rest of us can learn a great deal from you. For the Cigna Expat Insurance, I think you can be in the US a maximum of 90 days, rather than the 180 days you mention. It doesn’t sound like that will be any issue for your family. 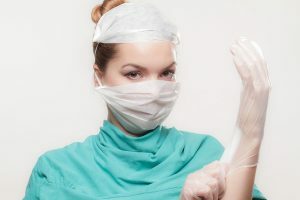 The Cigna Expat Insurance rates are fabulous! And good catch on the Cigna duration – I updated the info in the post. Thanks for that! I’ll be interested to hear your experiences with Liberty Healthshare! I’m interested in that as well! 🙂 Hopefully, we won’t ever use them though, but I’ll do a post on it if we do. Hey Jim, I’m with you on the Roth conversions, and with your CPA on maxing it out to the tax bracket hurdle. Tax rates are EXTREMELY low with the new tax law, time to mow the hay while the sun is shining. Good plan on the other attibutes, as well. Exciting times for you, I’m enjoying the journey! “Time to mow the hay while the sun is shining”… love it! What a great post! Fortunately, Mrs. Groovy and I are very fortunate when it comes to our portfolio. When we started saving in earnest back in 2006, we put the bulk of our monthly investment contributions into a brokerage account. Around 2011 or 2012 we flipped the switch and started maxing out our 401(k) and 403(b). When we retired in 2016, we had roughly half our portfolio’s value in our brokerage account and the other half was in tax-advantaged accounts (Roths and rollover IRAs). And for the life of me and can’t say why we were so brokerage account-centric when we first started investing. Just dumb luck. Anyway, the bottom line is that we have enough money in our brokerage account to live on for at least 20 years. No need for Roth conversion ladders for us. Best of luck on your pending retirement. Mrs. Groovy and I hope to visit you down in Panama. Cheers.